Egerszalók is famous about its salt cliffs created by the water flowing down the hillside. 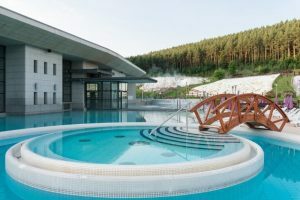 You can choose this amazing place for one of your spa destination in Hungary. The village with a population of almost 2,000 people situated between the Mátra and the Bükk mountains in the valley of the Laskó stream, just 5km from Eger. The appeal of the village lies in the natural beauty of the area, which offers tourists countless points of interest. Egerszalók’s main attraction is the thermal source springing from the depths of the earth in the south of the village and the salt hill created by the water flowing down the hillside. 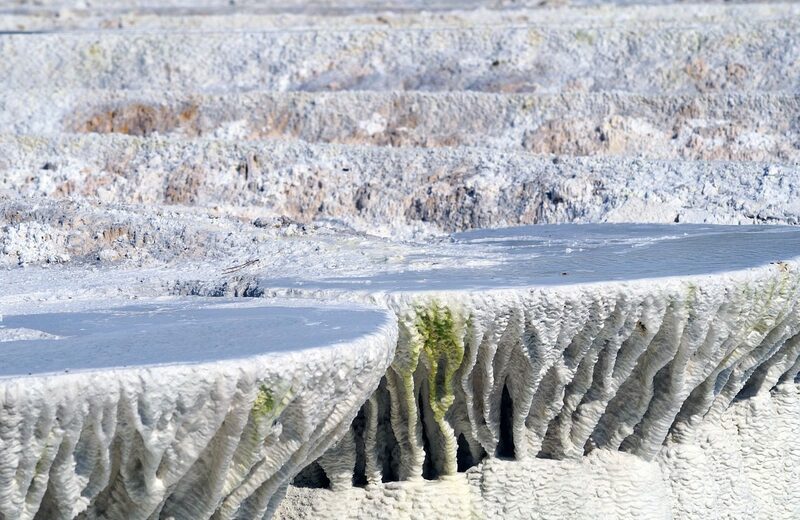 The salt deposits from the 65-68 C◦ medicinal water extremely rich in minerals continuously build the scalloped, white formations, which are such an impressive sight. The calcium-magnesium bicarbonate medicinal water also containing sodium and metasilicic acid has been given one of the best ratings in the category of sulphurous medicinal waters. The water was classified as medicinal by the health ministry in 1992. Over the years the salt hill thanks to its unique characteristics has become the symbol and trademark of the local area. 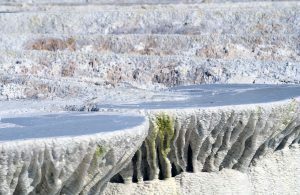 Similar natural formations can only be found in two other places in the world: in the Asian part of Turkey in Pamukkale, and in the Yosemite Park in the USA. In Europe it is unique. 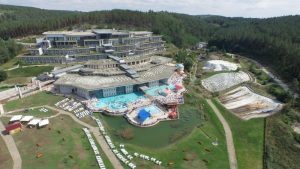 The Saliris Resort is situated in a large park in Egerszalók, 6 km from Eger, among very nice mountains in Northern Hungary. It features indoor and outdoor pools and numerous wellness facilities. All the 203 modern rooms in the Saliris Resort are air-conditioned and have a balcony and a cable TV. There are also bathrobes in every room. Fine Hungarian and international cuisine can be enjoyed in the restaurant. Wellness facilities include saunas, steam bath, Jacuzzis and a wide range of massages and beauty treatments.